But you soon find out that it’s too expensive to have one made, and doing one yourself is just impossible because there is no tool out there that lets you do it…right? Well, you’re wrong! Now you can Do-It-Yourself! 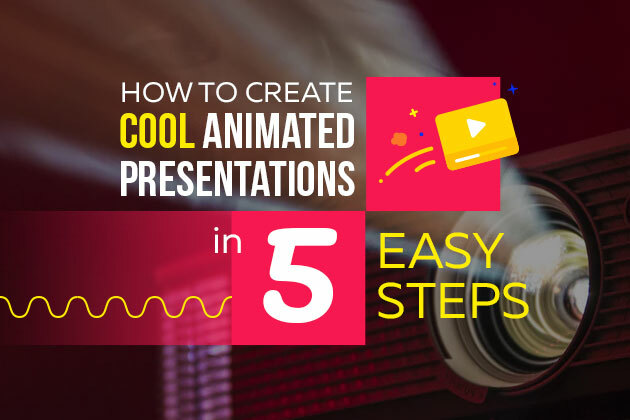 Once you have learned the five steps to “creating an awesome Powtoon”, you will be able to create your very own cool animated “presentation-cartoon” (Powtoon) using Powtoon’s awesome online presentation software. Which problem are you or your product addressing? What is your solution, what are its benefits and why is it better? CALL TO ACTION: Test us – Try us – Buy Us. Remember that when reading your newly created script without pauses, 90 seconds corresponds to around 225 words! So before finalizing your script, please make sure to do a word count (and if I can give you another piece of advice: SHORTEN THE SCRIPT ONCE and then SHORTEN IT AGAIN). You need to either choose a background track for your music or record a voiceover. This means that you need an MP3 file of the TEXT PARTS of the script read out as they will appear in the Powtoon. Don’t worry, this does not have to be a professional voiceover, it can just be something basic for now, you are doing this mainly as a TIMING guide. So you can do this yourself (record yourself in http://audioboo.fm/) or use an online text to voice software. You can always hire a professional voiceover artist later to give your Powtoon a really polished sound, this can make a really big difference for a relatively small investment. If you have a voiceover, you can make some of the words come to life by making them appear in time on the screen. You don’t need to have each word that appears in the script on the stage but rather chose important words to emphasize certain points. 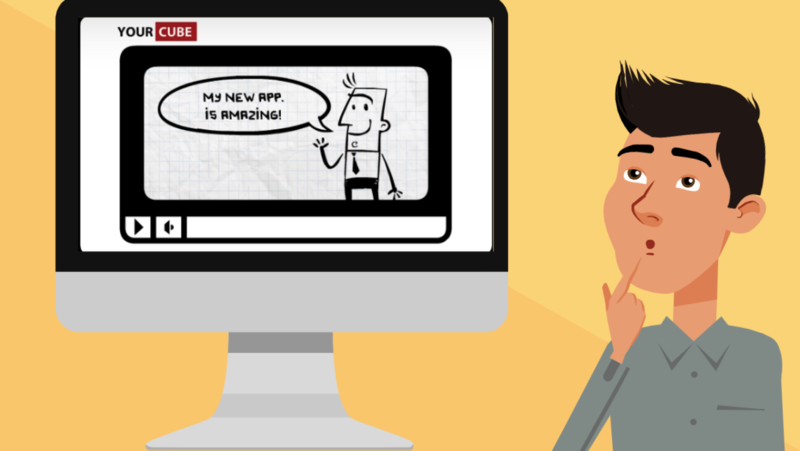 Now it’s time to add graphics, background, props, images, and characters to your slides. It’s important to convey the message together with the graphic images and as little text as possible, so the audience doesn’t have to sit there reading all the time (unless this is the effect you’re after) and doesn’t get overwhelmed with information. 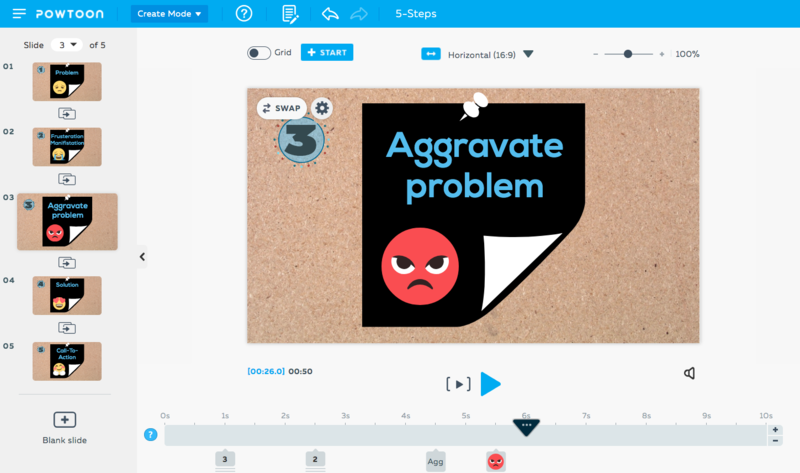 The Powtoon timeline is designed to allow you to easily adjust the appearance and timing of all the elements on the screen. You can now listen to the voiceover running in the background and make sure that all the visual elements reflect what you hear. The more accurate you get this; the more awesome the final result!